You are here: Home > MCSD News & Alerts > MCSD News & Alerts > CMS News > Trivia Night to Support Muscatine-Japan Exchange Program! 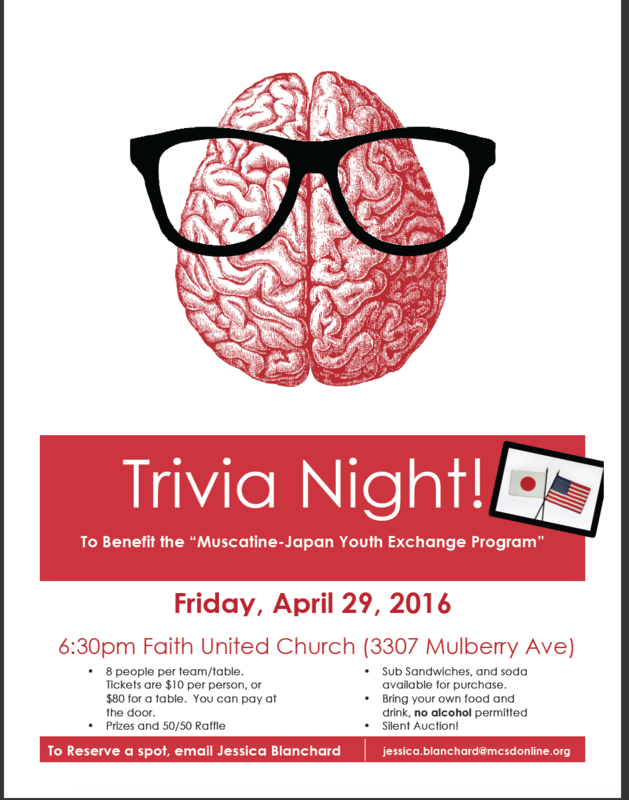 This is a Trivia Night to benefit the Muscatine-Japan Youth Exchange. 17 students from West & Central will be traveling to Japan this summer and staying with families in our sister city. Trivia Night helps support this wonderful trip!